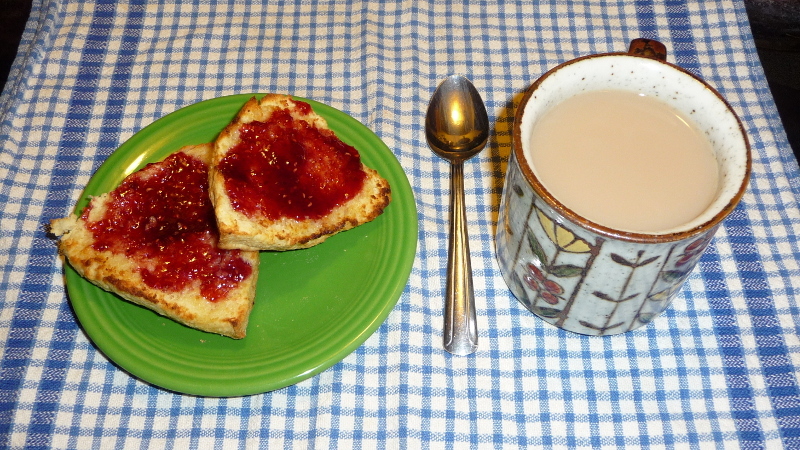 Warmed scone I baked this morning with butter and jam, and hot tea; the perfect treat for a rainy fall afternoon. Fresh bakes scone and hot tea! This entry was posted in Life and tagged food on October 4, 2014 by Geoff.